There is no specific legal concept of ‘joint venture’ under Brazilian law. There are two types of joint venture structure in Brazil: corporate joint ventures, which are the most common type adopted in Brazil; and contractual joint ventures, in which case the relationship between the joint venture parties is governed by contractual arrangements. There is a distinct preference for corporate joint ventures, which are usually incorporated as Brazilian limited liability companies or joint-stock companies. With respect to contractual joint ventures, although most civil and corporate-law scholars take the position that they are similar to a ‘consortium’ (a type of association governed by articles 278 and 279 of the Brazilian Corporations Law), it is also possible to organise a joint venture as an undeclared partnership. For the purpose of this chapter, we will focus on corporate joint ventures, given that, as mentioned above, it is the most common form used for joint ventures. Joint ventures are used for all sorts of business ventures in Brazil, regardless of the sector. Recently, they have become more frequently used in infrastructure projects, especially in the oil and gas, construction, electricity and mining sectors. Joint ventures are also commonly used in projects involving the association of strategic partners with financial partners for different types of ventures, including when the parties intend to develop new technologies or to obtain funding and attract investment to projects that require specific techniques owned or held by one or more companies. The joint venture will be governed by the laws applicable to the type of legal entity selected to serve as the vehicle of the joint venture. The same set of rules applicable to foreign investment or participation in the capital stock of companies in Brazil applies. In addition, there are certain restrictions on foreign ownership or control, as regards to some specific regulated sectors, such as aviation, private security, national defence, public broadcasting services and financial institutions, among others. These restrictions apply to foreign investments in general and not specifically to the joint venture parties. Strictly from the standpoint of the Brazilian Corporations Law, there is no specific requirement for such broad disclosure. However, from a tax-law perspective, under article 8 of the Brazilian Federal Revenue Instruction No. 1,634/2016, corporate entities, including those formed as a result of a joint venture, must disclose the chain of ownership up to the natural persons who are the ultimate beneficial owners. In general, for this purpose, the ultimate beneficial owner is considered to be the natural person on whose behalf a transaction is conducted or who, directly or indirectly, holds, controls or has significant influence over the entity. The nature and purpose, duration and tax implications of the project are the usual drivers for joint ventures. In addition, as different corporate types entail different treatments for matters such as capital injection and investment commitments, majorities for corporate approvals and parties’ and management responsibilities and liabilities, other drivers are frequently defined by the particularities of each corporate type. A joint venture incorporated as a legal entity is treated as a separate and independent taxpayer. It can elect any of the corporate income tax regimes available to regular legal entities. In the case of contractual joint ventures, tax charges may be mitigated by adopting the contractual arrangements that are best suited to the nature, purpose and duration of the project. For joint ventures specifically designed for use under the recently enacted special tax regime for ‘angel investor’ structures, Brazilian tax authorities have determined that the payments received in return for the investment will be taxed as if the angel investor had made a loan to the invested legal entity, and the angel investor will not have liability for taxes owed by the invested company. As the tax treatment of each type of joint venture can vary significantly depending on the joint venture’s purpose, among other factors, it is not possible to give general advice on how tax charges can be lawfully mitigated. Analysis has to be made case by case. As a general rule, there are no restrictions under Brazilian law on the contribution of assets to a legal entity. Depending on the corporate type of the joint venture, the assets must be appraised by an independent appraiser prior to being contributed to the joint venture. The constitution of a joint venture may require the execution of different agreements to govern its parties’ relationship with each other, such as the joint venture vehicle’s incorporating documents: a joint venture agreement and a shareholders’ agreement. the choice of dispute resolution method. In summary, the joint venture agreement should be treated as an ‘umbrella’ agreement so that the provisions of each agreement signed by the parties within the scope of the joint venture reflect and detail its terms and conditions. It is advisable to set forth (i) in the joint venture agreement, a commitment by the parties to adjust any and all of the additional documents executed in the context of the joint venture to the provisions and the rationale of the agreement; and (ii) in each of the additional documents (eg, the vehicle’s by-laws), an explicit rule stating that the joint venture agreement’s terms and conditions will prevail in the case of conflict with the provisions of any other document. For corporate joint ventures, the by-laws or articles of association (as applicable), as well as shareholders’ resolutions and certain resolutions by management bodies, must be filed with the competent commercial registry. The interaction of the joint venture parties with the joint venture entity is based on corporate governance standards applicable to the type of legal entity selected to serve as the vehicle of the joint venture, which includes rules concerning conflicts of interest and the treatment of agreements with related parties. In addition to the applicable legal provisions, these rules are generally detailed in the joint venture agreement or in the shareholders’ agreement (as the case may be). For instance, any agreement or transaction between the joint venture and its related parties must be entered on an arm’s-length basis and the joint venture parties may not engage in business opportunities or transactions that incur a conflict of interest with the company. In addition to the above, according to the Brazilian Corporations Law, there are certain standards of conduct to prevent a member of management from acting in situations where his or her personal interests are incompatible with the joint venture’s interests. Further, the members of management have, among other duties, the duty of loyalty (article 155 of the Brazilian Corporations Law) and the duty to abstain in cases of conflicts of interest (article 156 of the Brazilian Corporations Law). Therefore, they may not perform gratuitous acts at the company’s expense, such as borrowing assets or funds belonging to the company without the express consent of all the shareholders, use the company’s property, services or credit to their or a third party’s benefit, or receive personal advantage by reason of their position, without authorisation. the effective use of this power to direct the company’s social activities and guide the operation of the company’s bodies. However, the applicable majorities for approval of certain matters will depend on the specific corporate type of the joint venture, since the decision-making processes in a Brazilian limited liability company observe the provisions of the Brazilian Civil Code, and in a joint-stock company observe the provisions of the Brazilian Corporations Law. the unanimity of the parties. With respect to the provisions of the Brazilian Corporations Law, the general rule is also the approval by the majority of the shareholders attending the meeting. However, certain categories of decisions or actions are reserved for approval by the majority of the joint venture’s capital stock or by the unanimity of the joint venture’s capital stock. Further, the joint venture parties are also entitled to define special veto rights or certain matters that may require supermajority approval in the joint venture agreement or in the shareholders’ agreement (as the case may be). the treatment of deadlock events. In fact, there is no specific formula to deal with these issues. It depends on the dynamics of the negotiations and the peculiarities of each case. In most structures, the existence of a board of directors is not mandatory under Brazilian law. In these cases, the shareholders shall contractually agree in the joint venture agreement on the creation and election of a board of directors. Once appointed and elected by the shareholders, the directors shall protect and act with a view to meeting the joint venture’s interests and not the interests of the group of shareholders that appointed them. In this regard, as explained in question 9, Brazilian law imposes upon the directors (and any other manager) certain duties, such as the duty of loyalty and the duty to abstain in cases of conflicts of interest, among others. As a consequence of these duties, a director may not, for instance, use information or business opportunities obtained by reason of his or her position in his or her own or a third party’s favour or engage in business opportunities or transactions in which he or she has a conflict of interest with the company. Notwithstanding the applicable legal provisions, it is advisable to adopt clear standards concerning conflicts of interest and the treatment of agreements with related parties in the joint venture agreement or in the shareholders’ agreement. the formation of the joint venture involves a concentration. These three criteria are cumulative and must be met for a notification for merger review to be mandatory. It is also important to note, however, that joint ventures created to participate in public bids and public auctions conducted by the government are not considered to be a concentration for the purposes of the Brazilian Competition Law. CADE’s review of joint ventures is usually concerned about coordination effects and exchange of information between the parties and its economic groups, as well as possible horizontal overlaps and vertical relations created by the joint venture. Brazilian law does not provide for specific restrictions concerning transactions with related parties in the context of joint ventures, such as the provision of services to the joint venture by its parties, but any such transaction should be negotiated and carried out at arm’s length. The treatment of transactions with related parties (ie, not just those involving the provision of services to the joint venture by its parties) should be explicitly addressed in the joint venture agreement and in the shareholders’ agreement (if applicable). Brazilian transfer pricing rules must be observed in cases of transactions with related parties. Non-compliance with such rules may affect the deductibility of expenses related to those transactions, as well as result in adjustments on the revenues arising from said transactions. Employees of joint venture companies are entitled to the mandatory employment benefits set forth in the legislation governing employment in Brazil, such as a minimum wage, 30 days’ holiday, holiday bonus, 13th salary and severance guarantee fund deposits. An employee can be seconded or transferred to the joint venture (without termination of employment) through the concept of ‘corporate group’ between the joint venture party and the joint venture itself, or by labour succession. In both cases, the employee must continue to receive at least the same employment rights and benefits he or she received while in the service of the joint venture party. Should the joint venture provide higher salaries or better benefits to its own staff, seconded employees are entitled to equal treatment if they perform the same function as a joint venture employee. On the other hand, if the salaries or benefits offered to other employees that perform the same function in the joint venture are lower, the seconded employee maintains the previous amount he or she received while in the joint venture party. This is because labour laws do not authorise a salary decrease. Transfer of an employee from a joint venture party to the joint venture could lead to a different union representation if the joint venture’s core activities are different from those performed by the joint venture party. It should be noted that, in Brazil, members of a group of related companies may be held jointly liable for the labour obligations of the other members of the group. Under article 2, section 2 of the Consolidation of Labour Laws, whenever one or more companies, regardless of their distinct legal personalities, are under the direction, control or management of another, constituting an industrial, commercial or any other type of economic group, the principal company and each of the subordinate companies will be, for the effects of their employment relationships, jointly liable. From a practical point of view, Brazilian labour courts have interpreted the concept of ‘economic group’ broadly in order to protect employees from the effects of corporate changes intended to avoid labour liabilities. Matters related to intellectual property (IP) rights are usually dealt with during the negotiation of the joint venture agreement, preceding the creation of the business enterprise. The matters to be addressed can be divided into (i) pre-joint venture matters; (ii) matters concerning the joint venture’s operation; and (iii) post-joint venture matters. There is no specific legislation for IP in joint ventures, so most of the aspects are contractual and dictated by use and custom, in addition to general legislation on contracts and IP. The pre-owned IP rights (background IP) are especially important since they are often used as part of a party’s capital contribution to the joint venture. Trademarks, technologies and databases may, for instance, be used in the new operation. In the joint venture agreement, the parties should disclose with the utmost detail all of their IP rights, and declare that they retain their ownership, if that is the case. In addition, the parties must clearly state whether any of these rights will be part of their contribution (through transfer or licensing) to the joint venture, identifying which, if any, of the rights will be a part of the operation, and which will not. The rules for use of the IP will also be subject to provisions of the joint venture agreement, including rights over further development of existing IP and any compensation or remuneration owed to the parties. If any party contributes databases containing personal data, the party should provide declarations that the data was collected in accordance with the law, and detail any applicable restrictions to the joint venture’s use of the data. If the joint venture creates a separate entity, the owners of the IP rights and the new entity should sign licence agreements or transfers, thus establishing rules for the use and development rights over the relevant IP content. The applicable legislation is the same that applies to regular licence agreements. In Brazil, the Brazilian Institute for Intellectual Property does not permit co-ownership of trademark registrations. Thus, any trademarks developed specifically for the joint venture’s operation will have to be owned by only one entity - preferably, to avoid complications, the joint venture entity itself, if there is one. Further, the joint venture agreement should also contain clauses concerning IP matters during the operation of the joint venture and after its termination. Since new IP could arise from the joint venture’s operation and pre-owned IP could be further developed, the joint venture agreement is also the appropriate instrument for dealing with the events occurring during the operation that have implications for IP rights. The joint venture agreement should address good governance of the enterprise. Without proper control, one of the parties involved in the joint venture might find itself with tainted IP owing to bad use, or, even worse, it could find that some of its IP came to other parties’ knowledge. Thus, rules on the use of background IP (use of copyrighted material, data protection, trademarks, industrial designs, patents and trade secrets), including rules on information security, are very important for preserving the value of background IP. There should also be rules on access to and use of IP created during the operation (project-specific IP), in order to avoid leakage and unwanted access. Provisions requiring periodic reports on new IP are a good way to facilitate distinctions between background and project-specific IP. Here, special attention must be given to access rights to databases. Finally, rules should be set for registering new IP (whether it will be registered in the name of the joint venture, or one of the parties, etc). In Brazil, the party that files an application for registration of industrial property is its presumptive owner, although the presumption can be overcome by evidence of ownership - hence the importance of a thorough joint venture agreement. The joint venture agreement should also contain provisions concerning the ownership of IP created through the joint venture and other IP-related matters after the joint venture ends. One of the most significant matters is the ownership of trademarks. Co-ownership of patents, as opposed to trademarks, is accepted in Brazil. Thus, the joint venture agreement could, in addition to governing pre-owned IP rights, contain provisions on the property rights in any inventions arising during the joint venture. The parties could agree to co-own the new inventions or establish criteria to decide which party will have ownership. An important tool for this purpose would be the above-mentioned periodic reports on new IP. Co-ownership of inventions has a few particularities worth noting. All parties that own an invention have to contribute to its maintenance; all parties have the right to use and exploit the invention without further authorisation; and all licences or transfer of rights over the co-owned invention have to be consented to by all parties. The use and ownership of data collected during the joint venture operation after its dissolution should also be dealt with in the joint venture agreement, considering the high value it has in certain industries, and keeping in mind all applicable restrictions set forth in data protection legislation that could limit the use of personal data. Confidentiality clauses are of paramount importance, especially considering the access that the parties to a joint venture will usually have to each other’s IP, a question that takes on even more importance when trade secrets are at stake. Confidentiality provisions can be reinforced by non-compete clauses, in which the parties expressly undertake to refrain from using any information discovered during the joint venture’s operation to compete against their former partners. As a general rule, joint ventures are usually funded by the shareholders by equity or through debt, or even through a combination of the two. In the case of funding by equity, the capital stock of a corporate joint venture can be paid in cash or with assets and rights, provided such assets and rights can be appraised by an independent appraiser. No minimum share capital is required for the incorporation of a Brazilian limited liability company or a joint-stock company, and the capital stock does not have to be fully paid in at the time of incorporation. The Civil Code does not state the percentage that must be paid up at the time of incorporation of a Brazilian limited liability company, but the Brazilian Corporations Law provides that at least 10 per cent of the issue price of the subscribed shares must be paid in cash on incorporation. The funding by debt may occur either by the joint venture parties or by third parties (financial institutions or through the issuance by the joint venture of debt instruments). It is common for the joint venture parties to use loans to fund their joint venture because the amount loaned can be returned to the joint venture parties even before the joint venture shows an accounting profit. in any case, the sum of the indebtedness with related parties overseas must not be higher than twice the sum of the equity of the joint venture held by all related parties and the interest shall also comply with general deduction rules set forth by the legislation. If the related party receiving the interest is located in a jurisdiction considered a tax haven by Brazilian legislation, the expense will only be deductible for the joint venture if it complies with general deduction rules and if the total amount of indebtedness is not higher than 30 per cent of the joint venture’s net equity. There are no specific restrictions concerning capital injection or distribution of profits of joint ventures per se, but the particularities of each corporate type apply. As a general rule, the joint ventures shall have net profits, retained earnings or profit reserves to allow the distribution. With respect to joint-stock companies, the law requires the distribution and the payment of mandatory dividends to be established in the by-laws or calculated in accordance with the law, if the by-laws are silent. The dividends shall be distributed in proportion to each shareholder’s ownership interest. However, preferred shares can be awarded certain benefits if, for instance, such preferred shares have no voting rights. On the other hand, in Brazilian limited liability companies, if allowed by the articles of association or with the consent of all shareholders, dividends do not need to be distributed in proportion to the shareholders’ equity interests (ie, the shareholders may approve a distribution of dividends to a shareholder in excess of the percentage it would be entitled to receive in accordance with its equity interest). Generally, the profits of an incorporated joint venture can be distributed either as dividends, which are tax-exempt, or as interest on net equity, which is considered a deductible expense for the joint venture but is also subject to withholding tax (WHT) at the rate of 15 per cent when paid to the shareholders (the WHT is levied at the rate of 25 per cent when the shareholder is located in a jurisdiction considered a tax haven by Brazilian legislation). With regard to interest payments, general deductibility restrictions are applicable to both resident and non-resident joint venture parties. When the joint venture parties are located outside Brazil, thin capitalisation and transfer pricing rules may also limit the deductibility of such payments. Loans made by non-resident joint venture parties are subject to a tax on foreign exchange transactions at 6 per cent if the average term to maturity of the loan is under 180 days. If the average term is longer, the rate is zero. Corporate income tax losses incurred by the joint venture cannot, in principle, be used by the parties. The tax legislation in Brazil is very complex, comprising a myriad of federal, state and municipal laws. Brazilian corporate income taxes are usually levied at a combined rate of 34 per cent. Actual profit: this method requires a thorough determination of the net profits on the joint venture’s books that shall comply with commercial rules. The net profits are then subject to certain adjustments related to additions and exclusions, as defined by tax legislation. This method also allows for the deduction of certain expenses, considered as necessary for the joint venture. Presumed profit: the calculation basis for corporate income tax is estimated through a percentage applied to the joint venture gross revenue, which will be deemed as ‘profit’. The percentage applied to the gross income will be defined according to the joint venture’s activity and varies from 1.6 per cent to 32 per cent. This method, which does not allow the deduction of expenses, cannot be adopted by some companies (eg, companies with profits in excess of 78 million reais in the previous fiscal year, financial industry companies and companies that have gains and earnings outside Brazil). Cumulative regime: under this regime, the contributions are levied at the following rates: 0.65 per cent for PIS and 3 per cent for Cofins. Only some companies, activities and revenues are allowed to calculate their contributions through the cumulative regime, including companies that use the presumed profit method for the calculation of their corporate income tax. Non-cumulative regime: though with a higher rate of 1.65 per cent for PIS and 7.6 per cent for Cofins, this regime allows the use of tax credits generated on certain expenses, such as inputs. As a general rule, companies that determine their corporate income tax by the actual profits method are subject to PIS and Cofins calculated under the non-cumulative regime. In addition, there are special PIS and Cofins regimes for companies engaged in certain activities and industries, such as pharmaceutical, whose products are subject to the ‘single phase’ regime, with different rates and treatments. All types of joint venture are required to obtain a federal taxpayer identification number and, depending on the type of business conducted by the joint venture, some may also need to enrol as state or municipal taxpayers. Buy-or-sell procedures, such as shotgun clauses, are very common. Non-terminative provisions, such as mediation procedures, are also frequently used. Joint venture agreements and joint venture shareholders’ agreements usually contain procedures for initial public offerings (less used in Brazil), purchase and sale (by third parties, arranged by the investor or by some sort of ‘promoter’, or even by the other party, as in a deadlock event, but subject to specifically stipulated requirements) of a party’s interests, drag-along rights and put and call options. In essence, drag-along rights allow a shareholder to force other shareholders to join in the sale of a company (such as a corporate joint venture). Generally speaking, the shareholder that is dragging extends to the shareholder being dragged the same price, terms and conditions of the purchase and sale. In this context, a put option is a provision that grants a party the right, but not the obligation, to sell its equity interests at a specified price within a specified time, while a call option grants a party the right to buy equity interests from the other party at a specified price within a specified time. Although these methods are more frequently used in connection with the purchase and sale of equity interests in a joint venture (as referred to in question 1, corporate joint ventures are the usual choice in Brazil), certain concepts regarding the transfer of interests may be used with contractual joint ventures (ie, the parties’ interests in the contractual joint ventures are treated as assets). As a general rule, Brazilian law does not set forth specific restrictions for mandatory transfer provisions or a basis of calculation regarding joint ventures, but restrictions applicable to companies (in general) might apply. In principle, there are no restrictions on the transfer of shares in the case of insolvency. However, since Brazilian legislation is not clear on this specific issue, there is some debate among scholars and in case law about whether, in the case of court-supervised reorganisation of distressed businesses, it is necessary to provide for the transfer of shares in the reorganisation plan. Given the terms of article 50 of the Brazilian Business Reorganisation and Bankruptcy Law, it is advisable to make expressed provision for share transfers in the reorganisation plan. Dissolution of the joint venture vehicle does not create any new obligation for the joint venture entity. Payment of all taxes owed by the entity is effectively a requirement for dissolution because, otherwise, the joint venture parties may find themselves exposed to liability for irregular dissolution of the entity. As a rule, the parties of the incorporated joint ventures should only be liable beyond their obligation to pay in their shares in the joint venture entity if they act in excess of their powers or contrary to the law or articles of association. In these cases, the judge can disregard the corporate entity (pierce the corporate veil) to hold the parties personally liable for the tax debts of the joint venture. The shareholders are also jointly and severally liable in the case of irregular dissolution of the joint venture incorporated as a legal entity. Corporate tax losses are subject to offset limitations and cannot be used by the joint venture parties. Under Brazilian law, when disposable rights are in dispute, parties are free to choose the dispute resolution method, such as arbitration and mediation. If the dispute involves non-disposable rights or matters of public order are at issue, the ordinary courts must decide. Thus, as a rule, commercial and management disputes related to joint venture agreements can be resolved through alternative dispute resolution methods. When the dispute is to be decided by the Brazilian courts, Brazilian law will apply. In contrast, in the case of arbitration, the parties can choose whether the dispute is decided by law or equity, and may choose the applicable law, as long as their choice does not violate good customs or public policy (ie, constitutional principles and the fundamental rules of the Brazilian legal order). As a rule, the parties must respect the good customs (principles that society requires of its members) and public policy (basic principles and fundamental values of the legal system of each jurisdiction). Although these concepts are broad and must be examined case by case, the principles under Brazilian employment and competition legislation, for example, must be complied with regardless of the parties’ choice of law, as they relate to the protection of the country’s economic, political and social interests. An arbitral tribunal has no power of coercion to enforce its decisions. To enforce arbitral decisions, Brazilian law provides for cooperation between the ordinary courts and the arbitral tribunal. The courts will order coercive measures to ensure the compliance with the order issued by the arbitral tribunal. If the joint venture is incorporated, and an arbitration clause is contained in the company’s by-laws, the shareholders are bound by and must submit to arbitration in the event of a dispute. The law does, however, allow for those who do not agree with the arbitration clause to withdraw from the company. In general, arbitration cannot affect the essential rights of a shareholder, such as their right to withdraw from the company if they do not agree with including an arbitration clause in the by-laws. As a general rule, there are no specific protections applicable to minority investors of joint ventures per se, but depending on the joint venture’s structure and form of organisation, minority investors can have considerable rights and protections. bring an action for damages against a member of management for losses caused to the company (if the shareholders in meeting decide not to bring action). to withdraw from the company in the cases set out in the Brazilian Corporations Law. Joint ventures incorporated as Brazilian limited liability companies are subject to supermajority approvals for certain matters set forth in the Brazilian Civil Code. filing for bankruptcy and appointing a liquidator. A two-thirds majority vote is required (unless otherwise provided by the articles of association) for the election and removal of managers that are not shareholders, but only when the capital is fully paid in. electing managers that are not shareholders when the capital stock is not fully paid. Joint venture parties may have liabilities beyond what is expressly agreed when the matter in dispute involves vulnerable parties (such as employees or consumers) or protection of collective rights, as contemplated under environmental or competition legislation, for example. In these cases, the parties to the joint venture may have joint liability, regardless of the terms of the joint venture agreement. Moreover, in the case of incorporated joint ventures, if the corporate veil is lifted, the joint venture parties could be held directly liable for the claim against the joint venture entity, regardless of the terms of the joint venture agreement. Lifting of the corporate veil can occur where the joint venture parties abuse their powers for the purpose of defrauding the law or the joint venture entity’s by-laws. In the Brazilian legal system, all evidence must be produced during litigation, either arbitral or judicial; there is no discovery phase. Once submitted by parties, the evidence enters the record and supports the judge’s decision-making process. Some limitations on the production of evidence involving confidential or privileged information may apply. For example, the law provides that the judge may excuse a party from disclosing a document based on justified and serious reasons or if the contents of the documents contain facts about which, by reason of the party’s status or profession, they must keep secret. Brazilian law gives broad discretion to the parties as to the form in which they choose to organise their joint venture. As explained above, there are no significant restrictions applicable to joint ventures per se, and both the Brazilian Civil Code and the Brazilian Corporations Law are relatively flexible, allowing the joint venture parties to decide on the terms and conditions applicable to their relationship and to the joint venture itself. As mentioned above, there are certain general restrictions on foreign ownership in specific regulated sectors. For additional information, see question 3. 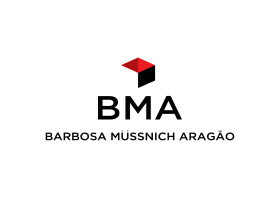 Founded in the 1990s, when Brazil was undergoing structural changes, BMA – Barbosa Müssnich Aragão was inspired by a mission to find innovative solutions that are legally viable and sustainable in an environment of rapid development, new regulatory frameworks and new business models in almost all sectors of the economy.